In recent years, the Indian cricket team has been lacking plucky part-time bowlers who can bowl a few overs when one of the designated bowlers is having an off day. During the 2000s, India had abundant talent in this department with the likes of Sachin, Ganguly, Yuvraj, Sehwag and Raina, all capable of outfoxing opposition batsmen. But in the current line up there are effectively no part-time bowling options except for Kedar Jadhav. Kedar Jadhav has provided some useful spells in recent times, but his fitness problems have cast a shadow of a doubt over his availability. Of the current crop of players, only Rohit Sharma and Virat Kohli have the experience of bowling in the past, but both have effectively stopped bowling in recent times. During the 2015 World Cup India did not have any issues regarding part-time bowling options as they played with 5 front-line Bowlers in the XI. But now that they are planning to go with an all-rounder in Hardik Pandya as their fifth bowler they need to find a bowling option in top 6 who can provide 4-5 overs regularly as Hardik Pandya is not expected to give 10 economical overs consistently. The elder of the Pandya brothers. 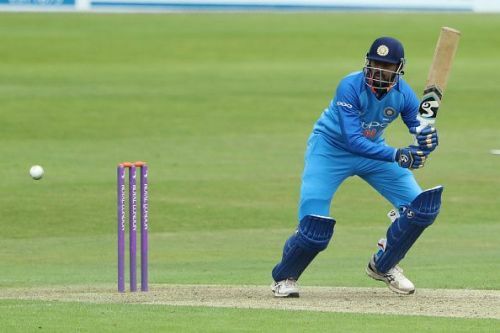 Krunal has been on the verge of selection into the Indian national team ever since he made his IPL debut in 2016. The Baroda all-rounder has been a constant member of the India A teams in the last two years. He shot into the limelight after he was picked by Mumbai Indians in the 2016 IPL auctions for a sum of 2 crores, which is huge for an uncapped player. The all-rounder did not disappoint as he repaid the faith of his franchise by performing consistently. His most notable performance was in the 2017 IPL final, where he scored a match-winning knock of 47 under immense pressure. Krunal is quite useful with the ball, having dismissed the great AB de Villiers on more than one occasion. He was recently selected in the Indian T20I team for the England series but did not get a chance to make his debut. With his abilities, Pandya can play the role of a finisher and a more than useful part-time bowler if provided with an opportunity.